The fiscal year 2017/18 ended according to forecast, with sales and EBITDA improved compared to 2016/17 by respectively 9% and 13.%. The two main business segments, plant making and steel making, have shown different trends by comparison to the previous fiscal year. In fact, as anticipated in the previous Letter to the Shareholders for fiscal year 2016/17, the plant-making segment still feels the effects of the serious crisis that steel makers experienced during 2015, 2016 and 2017. This has reduced considerably not only steel makers’ new investments, but also the purchase prices of new plants. Consequently, the suppliers of steel-making equipment and plants also have suffered from this crisis, because of the underabsorption of fixed costs and narrow sales margins. At the end of 2017, thanks to the customs tariff policies applied in the USA and then progressively also in Europe, as well as to the limitations imposed on the imported steel quantities, in the USA and then gradually also in Europe and in other countries, in addition to steel consumption increase steel makers saw an increase in demand and in revenue margins. Consequently, the demand for new steel-making plants also has increased, starting from spring 2018. In spite of this, the plant-making division is expected to record low margins also for the fiscal year 2018/19, since its invoiced value will include the low-priced sales of plants of 2017. However, an improvement is expected starting from 2019/20, certainly as a result of a reduction in the under-absorption costs, and we also will try hard to improve sales margins, which today are not yet adequate. This will depend also on the success of the currently ongoing restructuring policies aimed at reducing overcapacity in the organizations of the major plant makers worldwide, as well as on these firms’ determination to pursue positive balance sheets. In contrast, the steel-making segment recorded a positive result in the second half of the year for the reasons noted above and is expected to maintain the same trend during the next fiscal year. The big question is how long this positive situation for the steel market will last, as it depends on among other things the USA policy, but also on the trends of the world economy. At the moment we are gearing up for good market conditions estimated for the next 12 to 18 months’ period and to organize ourselves for the next market downturn. — We started up two high-tech plants for VAS and VASD (voestalpine Stahl, Austria). This concerns a continuous casting machine producing high-quality steel slabs and a new wirerod mill whose main features in terms of quality and flexibility are unmatched worldwide. The commissioning of these plants was achieved to the customer’s full satisfaction. — The second MI.DA. endless plant was started up successfully in the USA. Steel makers are showing a growing interest in this compact plant which, besides being competitive in terms of CapEx and OpEx, can be considered environmentally friendly because of the substantial reduction in CO2 emissions, energy and water consumption and noise it allows the operators to achieve. — Danieli Automation has obtained important successes with the new generation of high power drives, induction heaters, and steps towards Industry 4.0 and robotization. — Finally, the outlook for FATA EPC is very good in relation to orders of environmentally friendly power plants, not only gas-powered processes but also based on concentrated solar power technologies. The future prospects for the latter cuttingedge technologies are very promising, if results come up to expectations. With the steel market on the upswing, the outlook for the steelmaking segment is very good. From a technological point of view, ABS (Acciaierie Bertoli Safau) will proceed with its Industry 4.0 and robotization program. It will continue to pursue competitiveness and high added-value products, as well as to progressively mitigate its environmental impact while improving its safety strategy. Most probably in the near future (in the next 5 to 8 years) our additional competitors in several fields will be Chinese companies that can benefit from approximately 40% lower costs and from the fact that they operate in a local market that alone accounts for 50% of the global one, and therefore from a domestic customer base. Obviously, the Chinese competitiveness should be considered as one of the benchmarks that need to be monitored carefully. Certainly, such factors as “innovaction” and quality will contribute to counter this new competition, which in turn is improving in quality and the number of patents it lists. Therefore, our next goals include the strengthening of the activity of our China-based workshops and engineering departments in order to remain cost-competitive with the Chinese plant-makers, while always maintaining high levels of product quality and technology to be front runners. In parallel we also will improve the competitiveness and productivity of our production plants in Thailand, India, Russia and Europe, to serve the local markets efficiently. Moreover, competition from Germany and Japan has been very strong lately – during the market downturn - due to an overcapacity in relation to demand. Therefore, restructuring plans are ongoing and we hope that this, combined with an increase in demand, will help sales prices to improve. In anticipation of a possible market downturn that is likely to occur in 12 or 18 months’ time, we are working to improve productivity, OpEx and service to the customer. We believe that investing in metallurgical research and further developing our more downstream activities and Industry 4.0 technologies will enable us to improve considerably the competitive level of our company. Obviously, the above-mentioned goals in general can be achieved more easily if supported by efficient teamwork and positive leadership. 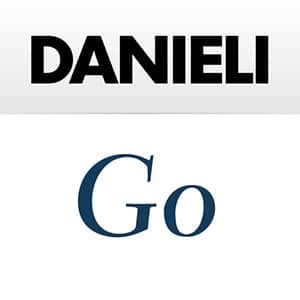 In order to enhance teamwork within the company, together with a continuous updating in line with technological developments, which is essential to be able to innovate and compete, we also will further expand the activities of Danieli Academy. In addition to its technological efforts, Academy will focus more on soft-skills training in relation to the different specializations and duties. Also, the “environmentally friendly and safe” policy is being constantly enhanced and implemented in our workshops, and then integrated into the design solutions of our plant-making division. One of the most successful examples is the MI.DA. 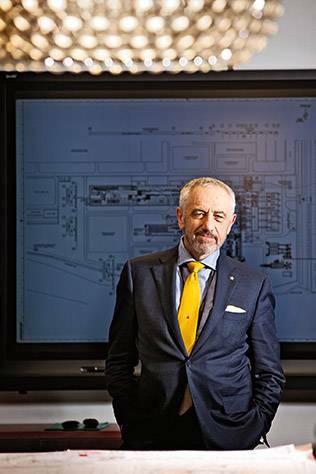 project, which is becoming a global benchmark for reducing the environmental impact of a steel-making plant. Our company is well aware of the fact that, in order to secure its future, it must produce profit and that in order to produce profit the average intellectual level and motivation of the team, together with an adequate consideration of merit, must be constantly improved. And this applies as well to the protection of the environment and safety in the workplace, in addition to a stimulus to innovate with a view to the customers’ satisfaction. Also worth mentioning on this point is the promotion of social initiatives outside the company, referring here to cultural activities and to the maintenance of historical heritage. In order to maintain the positive trend detailed above, including profits, continuous investments are necessary and in this regard we wish to thank our shareholders and stakeholders for the trust they place in our company: through the last 15 years they have allowed us to invest on average 85% of our profits back into the company. — Results have been in line with forecasts. — Even if the current fiscal year 2018/19 is expected to be better than the past 2017/18, the invoiced value for the plantmaking segment will show the effects of the sales of plants at low prices during the crisis period, which are not yet sufficiently improving due to the strong competition among plant makers for overcapacity and market leadership. — On the plus side, however, it is certain that the backlog of the plant-making division will progressively improve, and this should positively impact the financial statements of the fiscal year 2019/20 compared to 2018/19, which in any case will be better than the previous one. — For the steel-making division, the fiscal year 2018/19 is expected to bring excellent results. — The current plan for investments in “innovaction”, technology and “green steel” solutions will be pursued further. Moreover, a particular focus will be given to staff training and soft skills, with a view to the team’s continuous improvement in support of competitiveness and customer satisfaction. — The shareholders have agreed to leave as usual a large part of the profits (85%) in the company to finance innovation and investments and to remain financially strong. For the dissemination and conservation of published regulated information, the company adhered to the centralized storage mechanism, called “SDIR & Storage”, which can be consulted on the website www.emarketstorage.com, and managed by BIt Market Services S.p.A. with registered office in Milan, Piazza Affari 6, authorized by CONSOB with resolution No. 19067 of November 11, 2014.